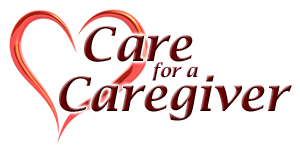 If you are a caregiver, then you are wonderful at taking care of everyone else- except you. You love those you care for and are willing to expend countless hours, energy and expense- except when it comes to caring for yourself. I know because I am a caregiver- and a Mom- of a beautiful daughter with special needs. My daughter was born with a rare genetic disease that causes malformations and brain hemorrhages and seizures. She is 18, struggles to read and write, cannot live independently and has had over 90 surgeries, most of those in her brain. I know what is to feel like you are trying to keep your head above water while the floodwaters rise; no time to care for yourself while you feel you are drowning. I have experienced first hand the emotional, psychological, spiritual and financial drain of living life as a caregiver- and I have found solutions to share. I literally turned a nightmare- treading water with my daughter in my arms-in the middle of a dark ocean, into a dream reality of living life with greater ease while learning a new ways of breathing underwater. I turned our trials into treasures and shared them with the world as a published author/columnist in numerous print and online publications, as a speaker/advocate on WABC radio, Fox News and local media (these can be found on FreeIndeedFreelance.com). A wellness coach in the industry, for the last five years, I decided to use my gifts to help those who are nearest and dearest to my heart and take care for caregivers. “Breathing Underwater; A Caregiver’s Journey of Hope”, is the title of my upcoming book. I also offer an 8 week coaching program for caregivers who are ready to learn strategies to keep breathing when you feel like you are drowning. I live the nightmare and the dream, all at the same time. People who read my writing, listen to my talks, watch my presentations and observe my life are always asking me the same question; “How do you do it?” Now I am ready to show you how. Get started taking care of yourself today. I can help. I know you take great care for those you love. The burning question is; “Do you love yourself enough to care for you.” Take a deep breath and contact me today.